This highly original, groundbreaking study explores the profound relationship between science and government to present a new understanding of modern state formation. Beginning with the experimental science of Robert Boyle in seventeenth-century England, Patrick Carroll develops the concept of engine science to capture the centrality of engineering practices and technologies in the emerging mechanical philosophy. He traces the introduction of engine science into colonial Ireland, showing how that country subsequently became a laboratory for experiments in statecraft. 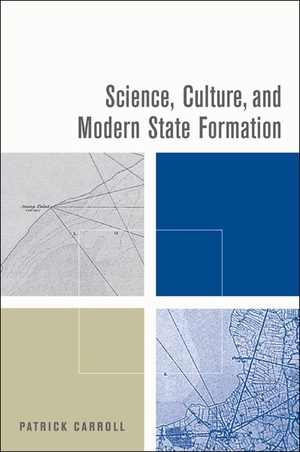 Carroll’s wide-ranging study, spanning institutions, political philosophy, and policy implementation, demonstrates that a number of new technological developments—from cartography, statistics, and natural history to geology, public health, and sanitary engineering—reveal how modern science came to engineer land, people, and the built environment into a material political state in an unprecedented way, creating the “modern” state. Shedding new light on sociology, the history of science and technology, and on the history of British colonial projects in Ireland from the seventeenth to the nineteenth centuries, his study has implications for understanding postcolonial occupations and nation-building ventures today and on contemporary dilemmas such as the role of science and government in environmental sustainability.